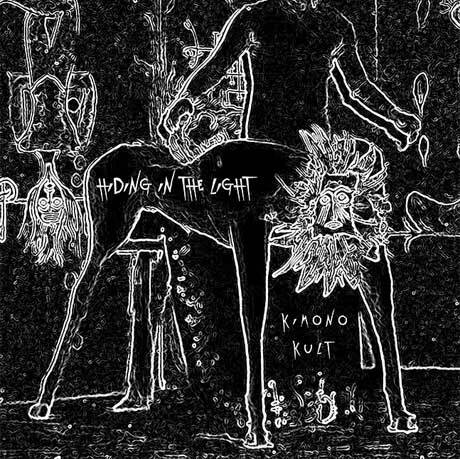 Kimono Kult "La Canción De Alejandra"
Guitarists John Frusciante and Omar Rodríguez-López used to play in Red Hot Chili Peppers and the Mars Volta, respectively, but now they're part of the band Kimono Kult, who will release their Hiding in the Light EP on March 4. The cut "La Canción De Alejandra" is available to stream now. The Spanish-language track is an experimental mix of electronic beats, sparse acoustic strums, group-sung refrains and quirky orchestrations. Hear it below. Hiding in the Light will arrive digitally though Neurotic Yell Records. Kimono Kult "Todos Menos El Dolor"